I’ve always been slightly torn when it comes to headphone choice. While I make no claims to being an audiophile, sound quality is my number one criterion when it comes to selecting headphones. I like neutral sound characteristics that faithfully reproduce what the musicians intended us to hear. I also like high-quality, traditional materials with understated looks. That tends to leave me choosing from the traditional hifi brands. At the same time, though, I’m a gadget guy. I loved the touch-panel controls of the Parrot Zik. The only thing that put me off those is that, plane journeys aside, I’m not a fan of noise-cancelling cans. 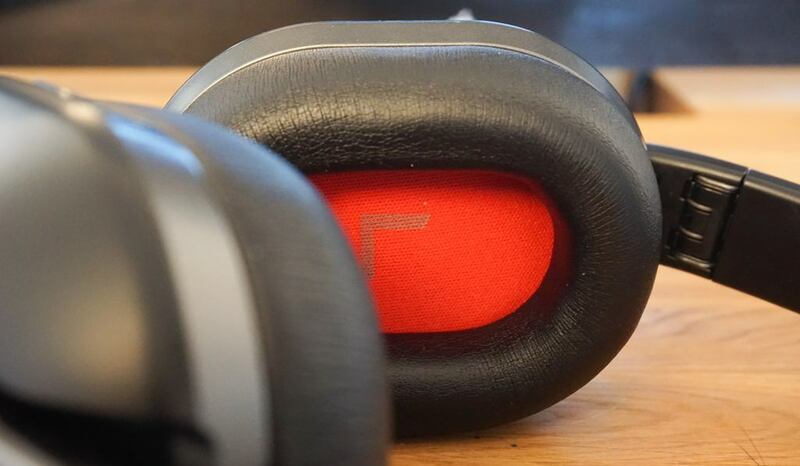 I like to be able to hear just a little of what’s going on around me – enough to hear when an announcement is being made on a train, or that I’m about to step in front of a bus – and the Zik headphones don’t sound good in passive mode. The headphones have a pretty neutral look. They don’t look as premium as offerings from the likes of B&W or B&O, but nor do they look cheap. The mix of metal and plastic makes it hard to position them looks-wise. See below for the white variant. 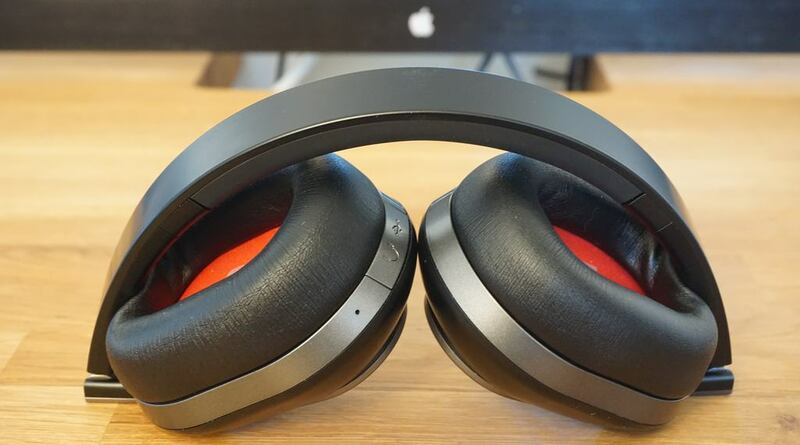 Compared to the typical cheap-looking Bluetooth headphones, however, they look smart and unobtrusive. The touch-panel controls help a lot here, as Phiaton doesn’t need to add a bunch of physical buttons. The over-ear silicon earcups are comfy. I have a large head, so always need to stretch headphone bands for a comfortable fit, but once I’d done this, they felt good. My only query here is whether they’d feel warm in summer. In the UK’s winter temperatures, they did do well at protecting my ears from the cold. The BT 460s fold into a reasonably compact package for putting them into a bag, though the earcups do get a little squished and I’d worry slightly about whether they might end up permanently creased in long-term use. That didn’t happen in the short time I was using them, though. One drawback of wireless headphones is that you don’t have the wire to instantly signal left from right. Headphone markings are often subtle, but Phiaton has the perfect solution here, with large L and R markings on the interior of the cups. In this way, you’re never in doubt, but the markings aren’t visible when you’re wearing them. They are also available in white, which would certainly stand out a lot more. The touch panel is completely invisible when not in use. No-one looking at the headphones would guess. They would, however, when you adjust the volume: the BT 460s have hidden white LEDs that light up to indicate volume level. You can see these in the main photo at the top. The LEDs seem a little superfluous given that you can’t see them while you’re wearing them, but some people will probably like the bling factor. The LEDs also do occasional random pattern displays. Again, I can’t see the point, but for those who like their tech to be visibly hi-tech, that may appeal. You are left in no doubt at all when you have switched the headphones on. Hold down the power button for a couple of seconds and the LED next to the button flashes, the LEDs outside the right cup display a pattern, the headphones vibrate and you get a ‘Device connected’ voice confirmation when they connect to Bluetooth. The touch panel offers three functions: volume up/down, previous/next track and pause/play. Both volume and track functionality worked perfectly for me. To adjust the volume, you stroke the cup up or down, and get a nice gentle increase or decrease, avoiding the shock you sometimes get from headphones with less precise control, and making it easy to set the exact volume you like. Maximum volume, though, was a little low. Track control also worked perfectly. Here, you just swipe once right or left. Both volume and track controls are totally intuitive. Manual pause/play, however, was much less reliable. You double-tap the touch panel, but I found that very often the headphones failed to respond. However, you can do the same thing by pressing the power button briefly. It’s thus not a problem, but was a little disappointing – it would be great to be able to do everything in one place. Answering and ending calls is also done in the same way, and again the button is far more reliable. Manual pause/play is, however, rarely needed. The BT 460s have an auto-pause/play feature that means they automatically pause when you remove them, and begin playing again when you put them back on. This works whether you take them off altogether, or simply hang them around your neck. This didn’t work 100% reliably for me, but failures were rare. I won’t claim to have conducted a rigorous scientific count, but I’d say something like 98% reliability. I was particularly impressed that they could detect me hanging them around my neck when I was wearing a coat with a large collar that meant the cups were completely covered by material. There’s a 1.5-second delay on the auto-pause/play feature, which I’m guessing is designed to guard against accidental triggering. Once you’re used to this, you soon stop noticing it any more. Another really nice touch is that the volume ramps up slowly when you put the headphones back on and they begin auto-playing. If you’d been listening at a high volume, a sudden burst of sound can be a bit of a shock, but these ease in gently. Bluetooth connectivity was 100% reliable and lightning-fast throughout my use. This really impressed me, as I’m not the greatest fan of Bluetooth as a protocol precisely because I’ve often found that it can be flakey. No sign of flakiness here, however. I also experienced only a couple of brief moments of interference. Again, this has been a reason for me to generally avoid Bluetooth audio in the past, but performance here was very acceptable. So, nice gadgetry, neutral looks – but how do they sound? I said earlier that my ideal is completely neutral sound. The BT 460s don’t quite deliver that. Both bass and treble are artificially boosted. However, they are boosted in a balanced way, so while the sound is a little bit punchier than I’d ideally like, it’s not annoyingly so. Once I’d used them for an hour or so, I found I got used to the sound balance. It didn’t sound entirely natural, but for someone who normally hates artificially-boosted bass, I found I could quite happily live with these when used outdoors. Indoors, I did find the adjustments more distracting, but wireless headphones are all about mobile use. They have exactly the right level of sound isolation for me. They cocoon the ears nicely, blocking out most exterior noise, but still providing some awareness of your surroundings. The acid test for me is a PA announcement on a train: I want to be able to hear when one is being made, but have to remove the headphones to listen to it. The BT 460s passed that test, and the auto-pause feature was the perfect bonus. One final thing I like. Despite my aversion to wires, I’ve been a little reluctant to use wireless headphones because it’s one more thing to charge. The BT 460s have a 3.5mm audio socket hidden under a flap next to the Micro USB charging socket, and they are supplied with a 3.5mm-to-3.5mm audio lead. This means that you can plug them in and continue to use them if the battery fails. You also get a charging cable and semi-rigid carrying case. Battery-life, incidentally, is a claimed 20 hours and I got a little over 18 hours of mixed use. The Phiaton BT 460 wireless headphones aren’t going to replace my B&W P5s as my primary headphones; I love the completely neutral sound too much. But I have found them a surprisingly acceptable substitute when out and about – this from someone who is pretty fussy about sound quality. I can see myself continuing to use them in this setting. The gadgetry is a nice, uh, touch. The touch panel isn’t just a gimmick – it avoids the needs for multiple buttons, and is extremely easy to use. The auto-pause/play feature is great, and something I already found myself missing when I was using other headphones. 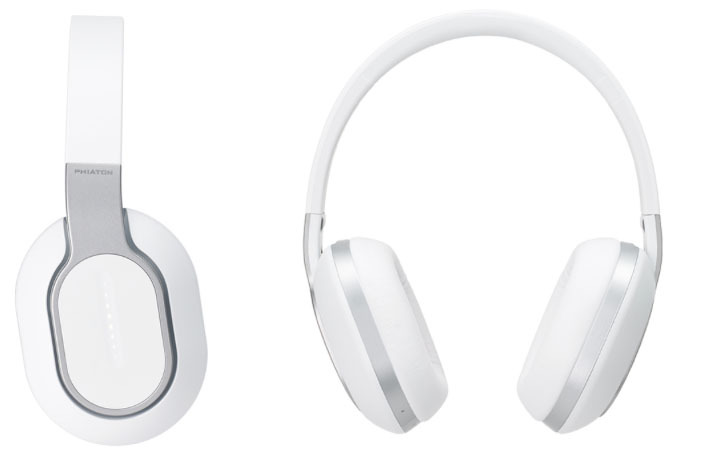 At the list price of $249, they are pricey but not unreasonably so for the sound quality and gadget appeal. The company is offering them for $199 in its official Amazon store, which I’d say is good value for what you’re getting. If you’re either slightly less fussy than me about neutral sound at home, or can afford a second set of headphones specifically for mobile use, these are well worth a look. 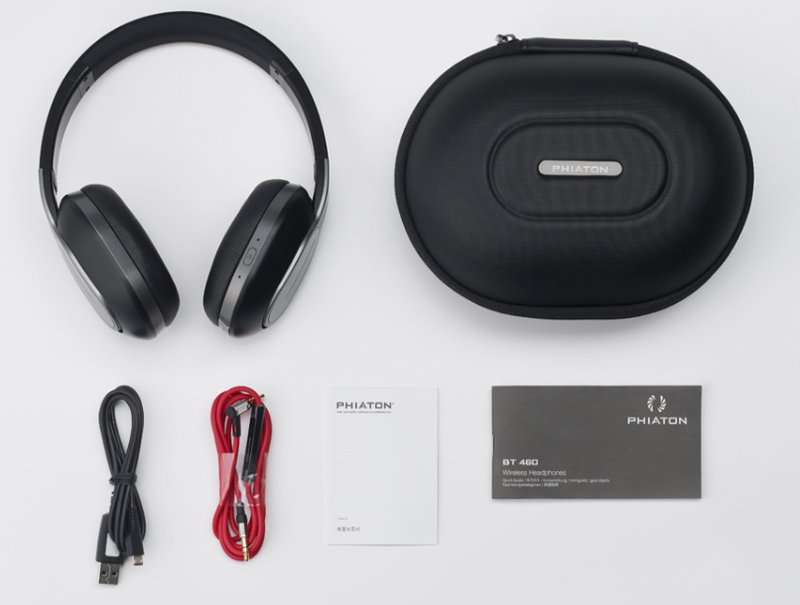 The Phiaton BT 460 wireless touch headphones are available from Phiaton’s official Amazon store in a choice of black or white for $199.